Jeff Sessions Deserves to be in Jail. Gaytorrent.ru Forum > Other topics > Politics & Debate > Jeff Sessions Deserves to be in Jail. Sorry. Just being honest. You can't lie under oath. This story is blowing up right now so I'll just link the original article. Re: Jeff Sessions Deserves to be in Jail. Can you impeach a cabinet member? How does that work? But haven't the Clintons lied multiple times under oath? I don't think they ever went to jail. Bill was impeached for it. I don't believe Hillary ever lied under oath. He met with the Russian Ambassador under his official title as a member of the Senate Arms Services Committee. The context of the questioning during his confirmation hearings was in regard to his knowledge of campaign officials discussing the campaign with Russian officials and if he had discussed, as a surrogate of the campaign, the campaign with Russian officials, which he states he never did, and there is not proof as to the contrary. In order to be charged with Purgery one has to willingly be misleading and intend to do so. If Jeff Sessions understood the question as being asked about discussions with Russian officials in the context of the campaign he did nothing wrong. He has recused himself from any investigation that may involve the presidential campaign, and he is submitting a letter of clarification to the Senate to clarify his meetings with the Russian Ambassador. There is no legal standing to remove him as Attorney General. Even Bill Clinton who was proven to have lied under oath, was not successfully impeached. Hillary was accused of lying under oath during the campaign, stating that she never had classified material on the private server. The FBI found that was not the truth, but because they couldn't prove that she knowingly had classified information on the server, they had no grounds to charge her. There were other inconsistencies about her testimony, but again there was no proof that she willingly misled Congress. Intent is important. If there is no proof Sessions intended to lie, then he cannot be charged. I don't believe Hillary ever lied under oath. Can I top off your Kool-Aid, hon? 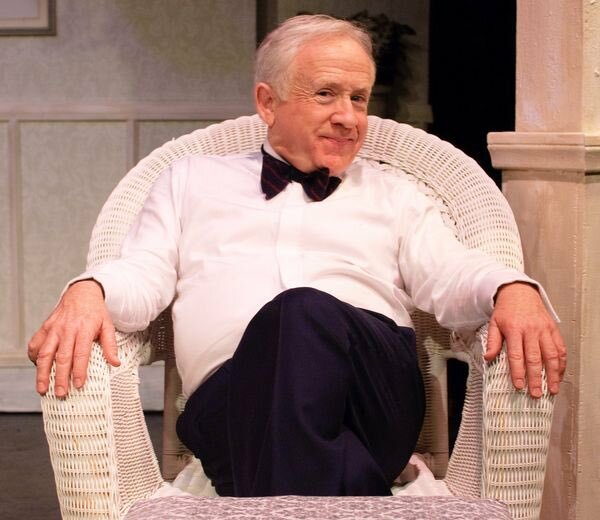 I know that Leslie Jordan should be cast to play him in the Trump movie. This going to get much, much worse and from multiple directions. Rachel Maddow has a piece that is just so damn complicated that it cannot be done with sound bites, which is probably why not many people are familiar with it. Check it out here hxxps://www.youtube.com/watch?v=IjEunPcmiMo, with the requisite replacing of the x's. But it is horribly damning for yet another cabinet appointee. Perhaps DeVos will end up being the best of the bunch! Nope, she's illiterate and misspelled the name of a well-known civil rights activist and one of the co-founders of the NAACP, W. E. B. Du Bois. Then she had the nerve to say HBCUs were the result of school choice. WHAT CHOICE? Black people post-slavery and Reconstruction were banned from attending predominately white universities and colleges so they created their own. IT WAS NOT A CHOICE, IT WAS THE ONLY OPTION. Those two HUGE mistakes alone are enough for her to be done with millions of people. I don't give a flying monkey that she walked back the comments, she should have never made those comments. Both her and Racist Elf are DONE. Excellent point, I truly apprentice your post. Exactly. All of the nonsense about his "involvement" with the Russians is just a conveniently timed attack by the media to halt the good press Trump was receiving from the Tuesday night speech. Sessions had already testified that he would recuse himself from any investigations that involved the campaigns. So far there hasn't been any need to recuse himself because no there's nothing to investigate. A couple of Washington Post articles claiming that supposedly leaked information obtained illegally and attributed to "anonymous" sources is not probable cause to convene an investigation. Sessions simply reiterated his recusal policy yesterday, which is exactly what he should do if that situation should arise. Racist elf? How old are you, you flaming queen of libtards? He didn't lie to Congress, he did his best to answer a rather convoluted question asked by the man that thinks he is funny. HRC, on the other hand, deliberately lied to Congress, so where were you calling for her to be jailed? That's your opinion. I agree with rcgjr11 in both cases. I do think Jeff Sessions should recuse himself, which he did. I watched that myself and it's easy to draw conclusions from the facts, but if you think carefully about it, there's no evidence they actually colluded. Granted, it seems very fishy. Racist Elf will definitely resign sometime this year. Remember I said this on here before it happened so when it happens you won't be shocked when I say, "I told you so." A liar in his position should at VERY LEAST be removed from duty. Agreed. I'm not wild about Sessions nor Goruch, however, ever since Bill Clinton emphatically lied under oath, it is virtually impossible to prosecute any high ranking public official with perjury. The conclusion of Watergate is that nobody, not even the president is above the law. The conclusion of Bill Clinton's presidency is that the president (and other high ranking public officials such as Secretary of State Hillary Clinton) ARE above the law. Cest la vie!